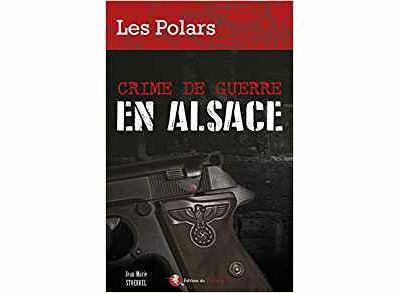 This week’s pick is Crime de guerre en Alsace or War crime in Alsace by French writer Jean-Marie Steorkel. This is a historical novel which depicts the major events that took place during World War II in that region of France. The author is very talented, and his writing style leaves no doubt about it. The story is being told through the lenses of two great characters: Veteran soldier Thomas Sorg and his fiancée Suzel, the daughter of Roger Shultz, a wealthy businessman who collaborated with the Gestapo during the war and then lied his way to the pedestal of stardom after telling the population of his village that he had killed an SS German officer, a gestapo agent, at the end of the war—an act of “bravery” he claims that led to the liberation of his village. The book is written in beautiful French, clear and profound. The historical accounts tell the stories of ordinary people in Alsace-Lorraine during World War II: their heroism, their allegiance to France against the Nazi invaders. I was in Strasbourg last November. Speaking to the locals, I was introduced to this book at a bookstore in downtown Strasbourg, not far from Maison Guallimard, one of the prestigious publishing houses in the Francophone world. I did not regret it. Jean-Marie Stoerkel is a prolific writer and a career journalist. He is the author of more than a dozen books. Many of his books are translated in Alsatian. So, Jean-Marie is our author of week.